I used an older but my favourite stamp set from Paper Smooches called Botanicals 2 to make my card for the challenge. I took the colours from the photo inspiration. And I used distress oxide inks to stamped the images from Botanicals 2 stamp set. The colours I used are Wilted Violet, Wild Honey, Fozzilised Amber, Vintage Photo, Peeled Paint and Spiced Marmalade. I sponged distress oxide ink Salty Ocean on the bottom of the card front to add a bit of colour to make the sentiment pop. The sentiment is from Simon Says Stamp Handlettered Encouragement stamp set stamped using Versafine Onyx Black ink. The green dots are from Simon Says Stamp Let Us Rejoice stamp set. I just added glossy accents randomly as dew drops. 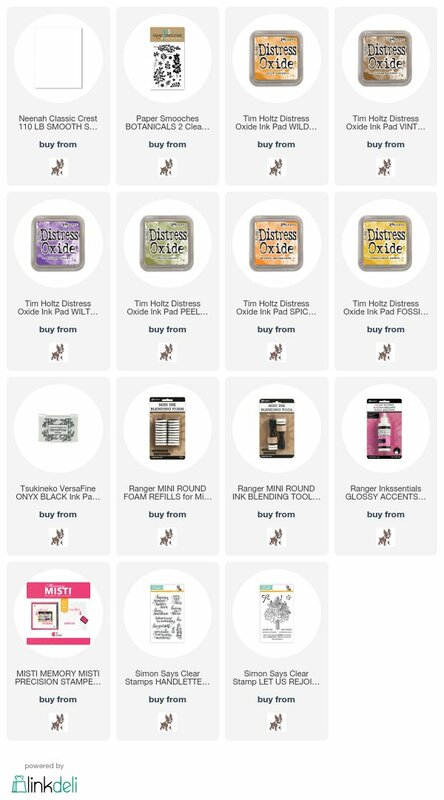 Love the rich colours and distress oxide inks are awesome to stamp with. If you like to pin my card, here is the photo for you. Here are all the supplies used to make this card. 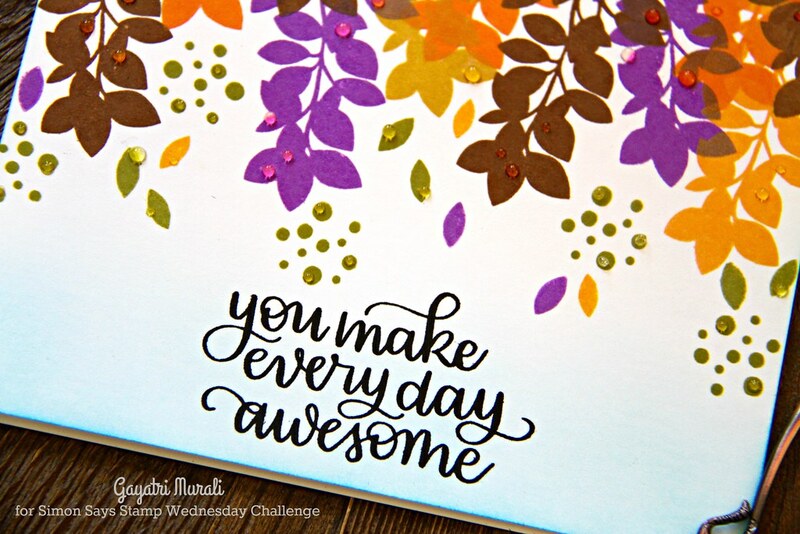 What a lovely way to use all the inspiration colors, Gayatri! This is such a wonderful card! 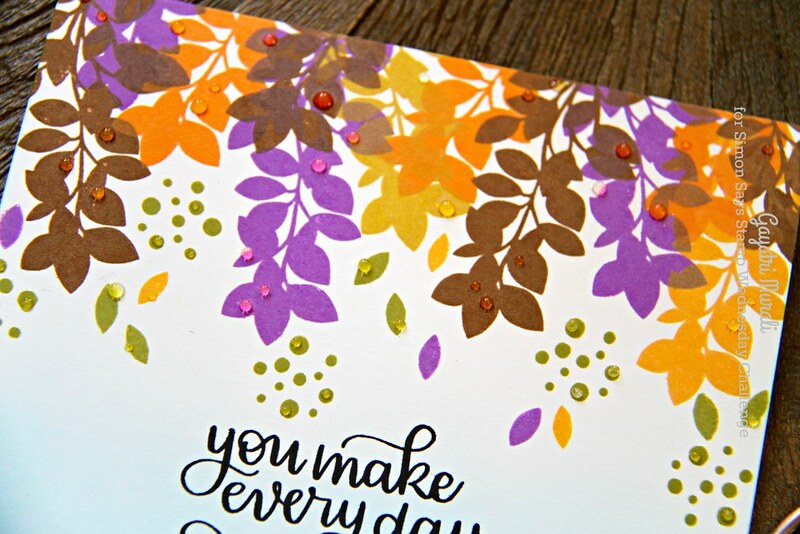 I love the cascading leaves and colors, and as the sentiment implies – it’s just awesome! 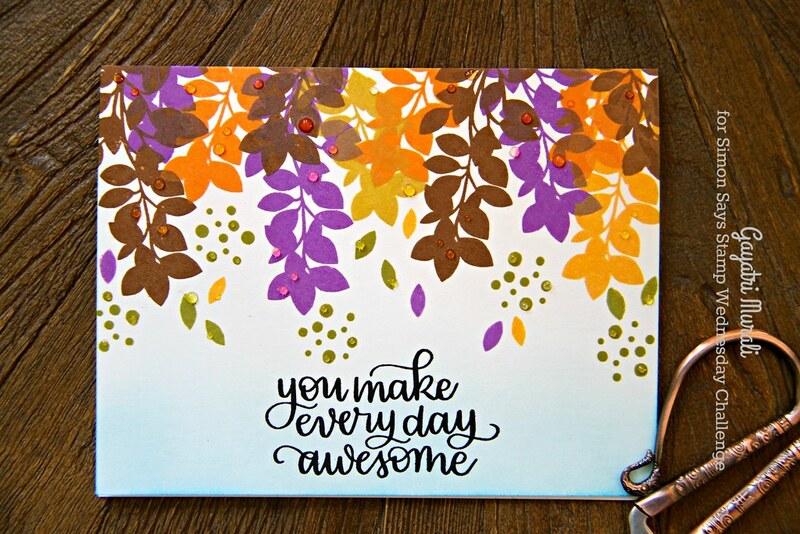 Beautiful vivid colors and I love that sentiment. 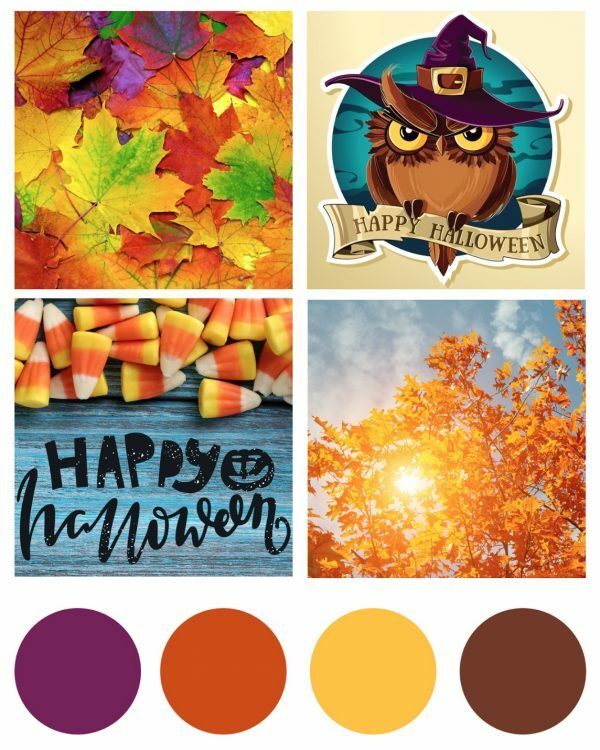 This is a great showcase of the colors, Gayatri! Love the movement of the leaves and the design!